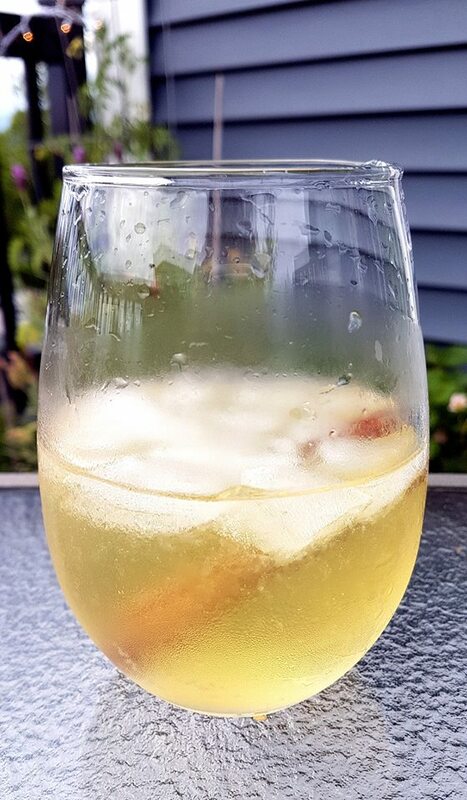 I came across the recipe for a Broken Vanilla in the latest edition of BC Liquor Stores Taste, and even though it’s made with gin (not a fan), it looked so refreshing I wanted to give it a try. I’m glad I did! I used Beefeater gin, which is a bit more mild with the herbal taste, and a Cariboo green apple cider. I think you could use any cider you liked, but can’t guarantee the flavour a more robust gin would give it. I know the cinnamon stick seems like a needless addition, but it added the perfect element to the drink. I would definitely recommend a Broken Vanilla for a hot summer evening, when you want something cold, refreshing, and a bit tart. Fill a glass halfway with ice and add the rest of the ingredients.